What They Say....Actress Lizzie Pepper was America’s Girl Next Door and her marriage to Hollywood mega-star Rob Mars was tabloid gold—a whirlwind romance and an elaborate celebrity-studded wedding landed them on the cover of every celebrity weekly. But fame, beauty, and wealth weren’t enough to keep their marriage together. Hollywood’s “It” couple are over—and now Lizzie is going to tell her side of the story. Celebrity ghostwriter Hilary Liftin chronicles the tabloids’ favorite marriage as Lizzie Pepper realizes that, when the curtain falls, her romance isn’t what she and everyone else thought. From her lonely holidays in sumptuous villas to her husband’s deep commitment to a disconcertingly repressive mind-body group, Lizzie reveals a side of fame that her fans never get to see. 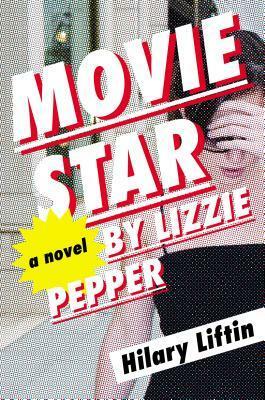 Full of twists and turns, Movie Star by Lizzie Pepper is a breathless journey to the heights of Hollywood power and royalty and a life in the spotlight that is nearly impossible to escape. What I Say....This was a great poolside book! I was so hooked that I read it straight through over a day. The story is obviously based on the Katie Holmes/Tom Cruise whirlwind courtship, which ended in a shocking Mission Impossible style divorce. I remember when that was all the tabloid rage, and I read them all. I do love my celebrity gossip. It's my thing. We all had the same questions. Was Katie forced into Scientology? Was she brainwashed? Was she a zombie? Did she fake her pregnancy? Was it all for publicity? It seemed like everyone had a theory. And just when you were thinking it was real, you had Tom jumping on couches, leaping on cars, or Katie's scientology handler telling her how to answer interview questions, "You adore him.". I'm not 100% sure if this book was all the writer's imagination, or whether she has a source, but it was definitely a compelling read. This book answered a lot of those questions, and honestly, it seemed to address a lot of the things that we saw. Except, now I wonder if Katie Holmes's dad really did broker her initial introduction to Tom Cruise....that was one piece of the story I don't remember ever hearing. Well, either way, all that matters is that Katie got out. Although she really doesn't look any happier now. This book was a great reminder that although we think celebrities have such great lives, they actually give up a lot. In Tom Cruise's, I mean Rob Mars, case, it seems like he also gave up his ability to feel or experience a real life. A fun read for a summer day!